Comfortable seating for friends and family. Good news! 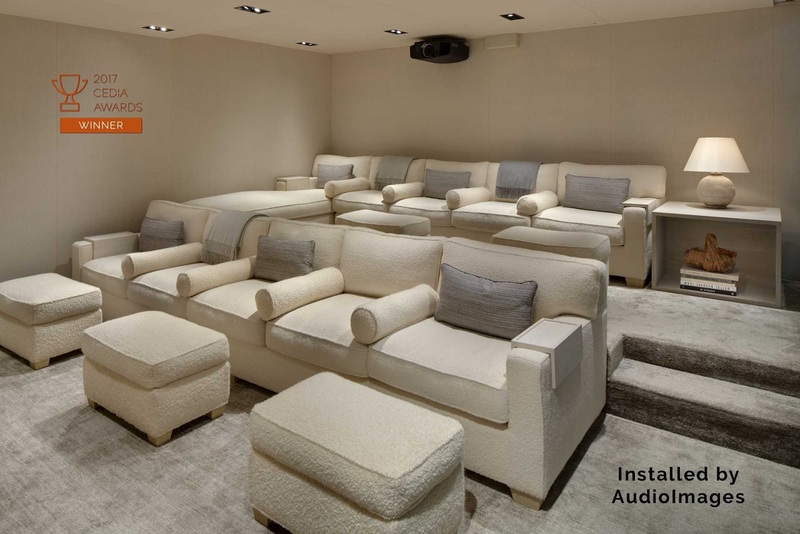 With the latest technologies, we can move past the dark and secluded home theaters of the late 20th century! No more man caves isolated from the rest of the house. No more rows of theater seats formally lined up, as if ready for battle with action heroes. Imagine even having a glass wall or window so we can stay connected to the rest of the world? 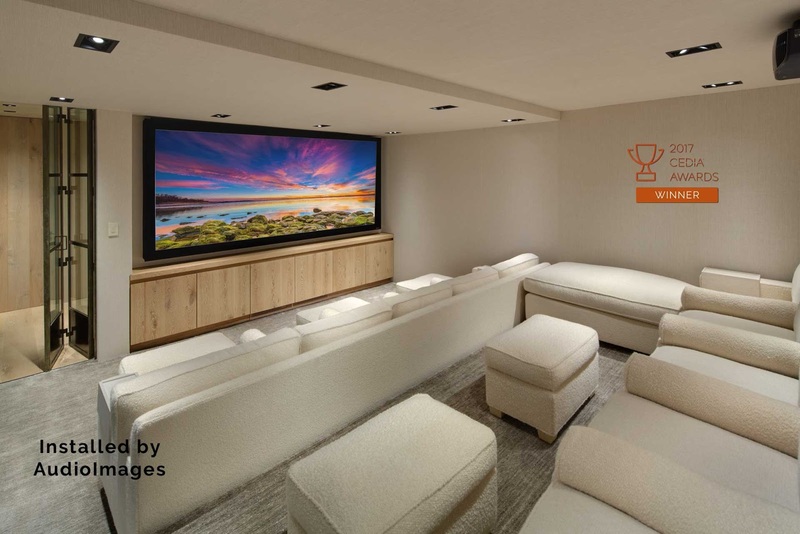 Instead of just a "Home Theater", we want a "Fun Room". But, and this is a big but, can we still have all of this and a great cinematic experience? The answer is Yes, and this article demonstrates how to deliver on these requests. The project in this example won Best Home Cinema Level II at the 2017 CEDIA Expo. Most people are not familiar with CEDIA (Consumer Electronics Design and Installation Association); suffice it to say this is the extreme high-end trade association for residential technology. Winning this award is a big deal, globally. 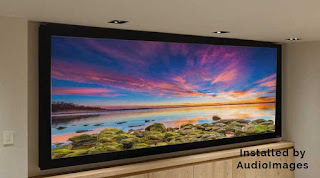 The integration firm responsible for building this masterpiece is Audio Images of Tustin California. 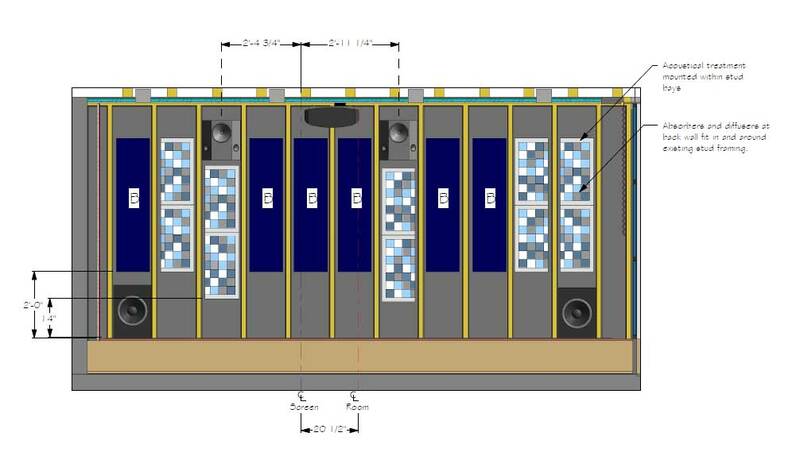 Our designs and engineering is only as good as the implementation and AudioImages came through on every detail. From a lifestyle standpoint, this is how people really live. Historically, we had to build dedicated theaters because the technology required those solutions. However, very few people want to live in those caves. Don't get me wrong movie buffs and audiophiles that truly want a phenomenal experience will build a dedicated room. The rest of the world has lifestyle compromises that will bring this type of project to the surface. here is how we met these goals. Fun Destination – We worked with the homeowner and interior designer to understand how the people will use the room. The space planning and the human factors drove our design. Stay Connected – The glass wall and a glass door were used to keep the room visually connected to the rest of the house. Light and Bright – This is usually a no-no, but we used new screen materials, brighter projector, and lighting control to make it work. 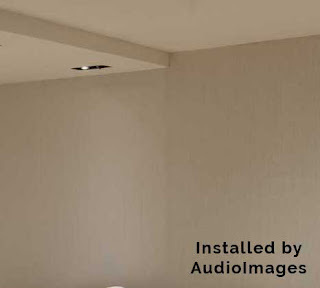 Hide the Technology – New wall and ceiling fabrics that allowed the loudspeaker technology and acoustical treatments to be hidden, make the room look like a “normal room”. The fabrics “read” like drywall, tricking the eye. Sound Isolation - Engineering the construction details of the room to keep unwanted sounds from entering the room AND to keep the fun sounds inside the Fun Room. 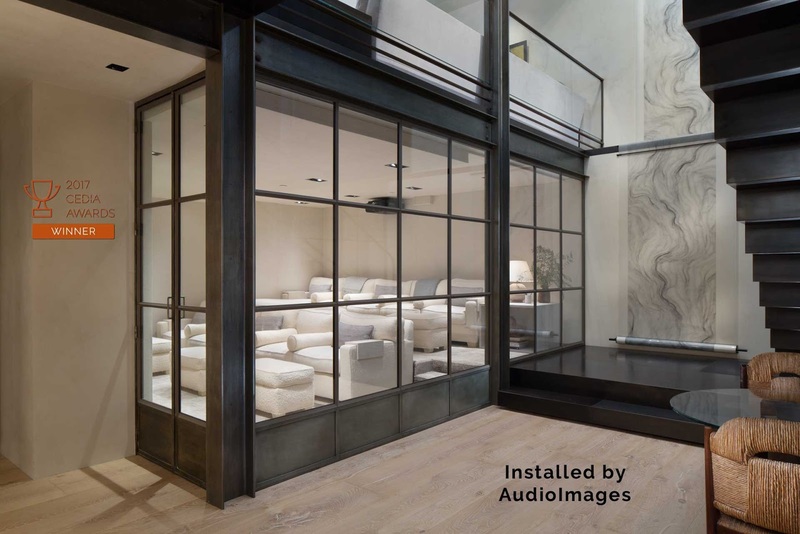 Noise – Reducing the native noise level in the room as low as possible ensures the best sonic resolution, and lets the Fun Room be fun without having to be a really loud room. 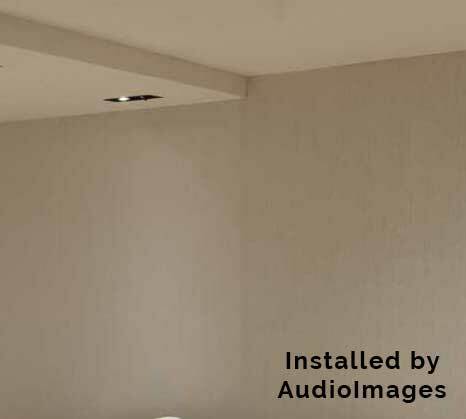 Acoustics – Managing the way sound travels in the room and bounces around the walls and ceiling to deliver a great experience. The Future is Bright – Smart planning and wiring to let this room be the Fun Room for decades, without having to tear it apart. Fantastic Experience – New tech makes a substantial difference with: 130” high-contrast screen, 4K video, and the latest Dolby Atmos sound system. If you want to drill down to the details beyond the high level, click here. We promise not to be geeks, but we do love what we do. If you get one thing from this article, it should be that we can deliver great experiences in more places. Our industry has grown significantly in the last few years. New technology has opened many more ways to have fun. Stop thinking about a box, and think about how you want to live and we will design a solution. http://projectoreviews.com/optoma-uhd60-4k-ultra-high-definition-home-theater-projector/ is very popular on the internet. What happened this time?! EQ With a Healthy Side of Hum. So I was on this job site the other day, with the classic set of challenges. The client had bought a high-end 2-channel system from the integrator: Wilson Duette speakers, Linn preamp, Moon/SimAudio power amplifier. After it was all up and running, the client complained there was "not enough bass". So, the integrator sold him a couple of JL Audio subwoofers and asked me to come along and make the whole thing work - setting crossovers, time-aligning the speakers, balancing levels, equalizing the response, and voicing. We used a trusty Ashly ne4400 DSP audio processor; it’s a pro-grade digital audio processor with EQ, crossover, delay, level - the works. When I got to the location, things were a far sight worse than just "not enough bass". 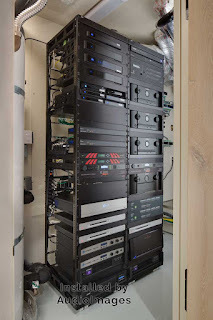 The installation of the EQ hadn't gone quite right; they had no audio signal, but a *lot* of hum. Client was steamed. So in I dove. In Deep Thank you for reading the high level article, now we will go into a detailed explanation of this project. 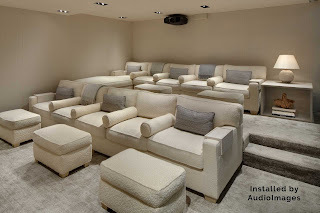 This blog expands on the details from the "Home Theater Has Come Out of the Cave" article. Sound Isolation The room had to be decoupled from the Great Room that is located directly above it. This prevents the sound leakage from disturbing the adults. Decoupling loosely means to build resilient wall and floor-ceiling structures with little to no connections to the house’s framing structures. The purpose is to limit every contact point that could mechanically transfer sound energy and interfere with daily use of the rooms.